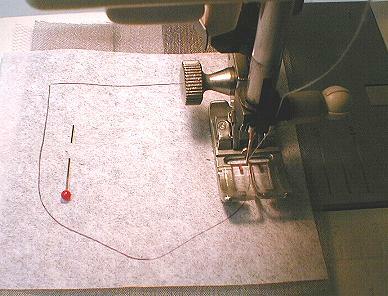 Leave enough space around each tracing to cut apart for ease in handling. The tracing lines are the stitching lines for the petals. The tissue tracings will be used the same way as the gloves. you may want to make the 9 petals in each row rather than 7. This would be your choice if you are looking for a fuller look. 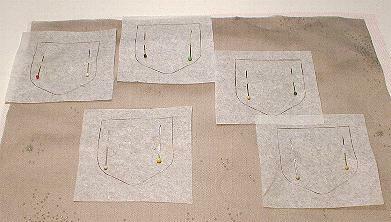 fabric separately to take advantage of the design. 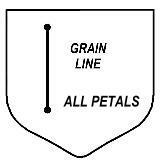 straight stitch around the petal following the guide line. 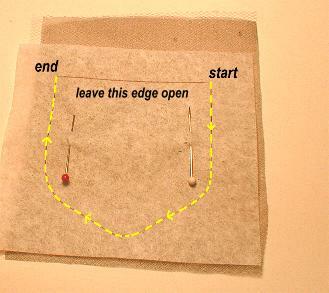 leaving the top edge open to turn. 5. Trim the opening just above the lockstitching. 6. 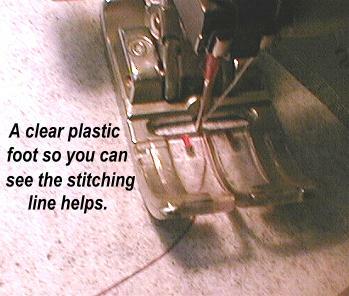 Remove the tissue paper by tearing along the stitching lines. 7. 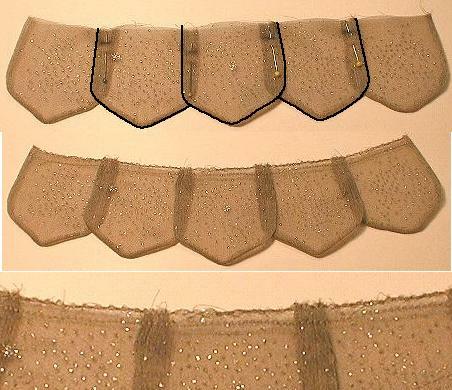 Trim close to the stitching around the edges. 7. Turn the petal and press flat with a steam iron. 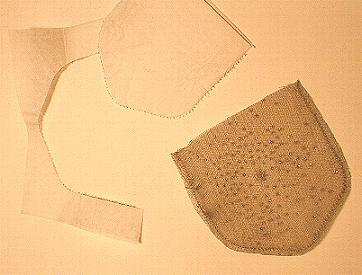 Be careful, a hot iron can melt delicate fabrics. Make all the petals following the same instructions. edges of each petal going in opposite directions from the center petal. 9. 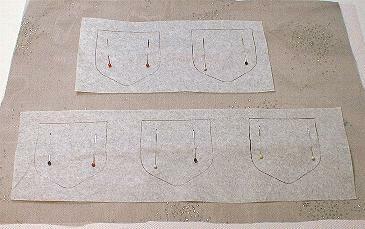 Pin petals together in rows according to size. 5 rows. 10. 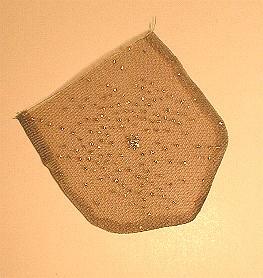 Staystitch a scant 1/4" from the edge of all rows of petals. 11. 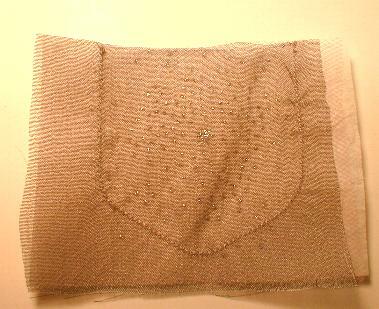 Finish the raw edge of all 5 rows with a small zig-zag.